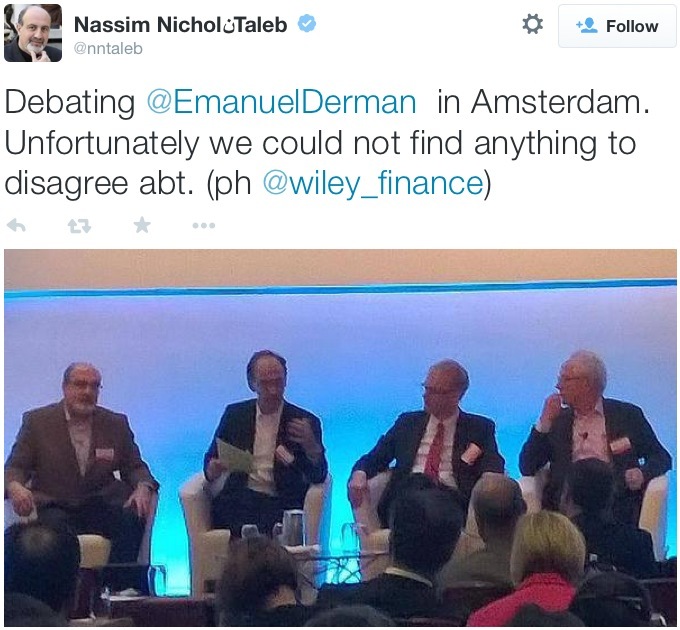 via Nassim NicholنTaleb on Twitter: “Debating @EmanuelDerman in Amsterdam. Unfortunately we could not find anything to disagree abt. (ph @wiley_finance) http://t.co/VASgLxISlW”. This was written by John. Posted on Monday, December 15, 2014, at 2:22 pm. Filed under Contributors. Bookmark the permalink. Follow comments here with the RSS feed. Trackbacks are closed, but you can post a comment.